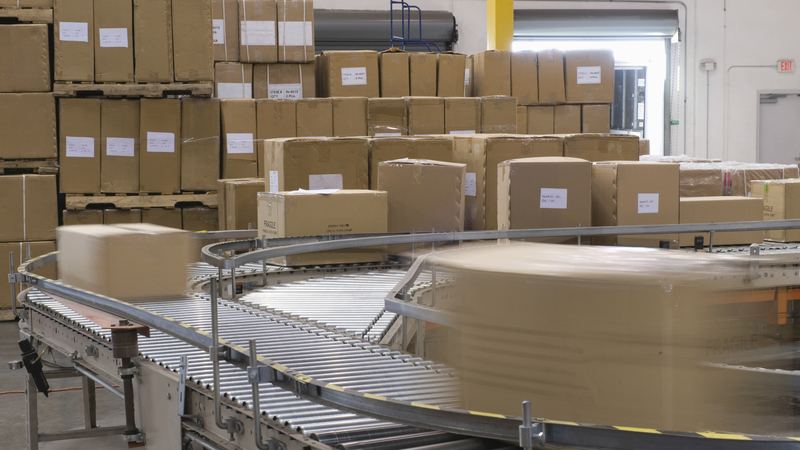 Our customer a major wholesaler of sporting goods was experiencing rapid growth and started an initiative to migrate to a newly expanded facility with expanded automation. The customer already had in place a ECC/EWM AFS based system which Advanced Solutions had helped implement a year earlier. The customer was looking to leverage a leading WCS from a third party and integrate it to SAP EWM, leveraging the benefits of both technologies. The new system would support a Pick to tote process including a putwall for high volume order fulfillment. Using a combination of SAP EWM-MFS and Advanced SAP2WCS middleware, the team was able to leverage MFS capabilities where the WCS was deficient and utilizing Advanced Solutions Web Service based middleware to communicate from the WCS to SAP EWM in near realtime. The wholesaler was able to move into the new distribution center and was automated in a matter of 6 months. Using our SAP2WCS middleware the customer transmits picking waves to the external WCS, which is used to drive a pick to tote system. Completed picks are transmitted back to to SAP in realtime. A pick wall was implemented for high volume eCommerce order picking, as orders are completed and placed in an order cubby a trigger is sent to SAP EWM which triggers an automatic packing of items into handling unit(s) , the final step is a verification step where the packed order is verified using our AdvancePack application for final verification and carrier label generation. The final result is a semi automated solution that uses the benefits of an external WCS with the capabilities of SAP EWM to control the wholesalers new automation and also provide a platform for future automation.